This blog was written by one of our digital designers, Morgan Stokes. Picture that you are a furniture designer and you want to make a chair and a bench. You’ve already designed the chair, can you just stretch the chair to design the bench? The answer is no! Think of the strain that piece of wood in the middle will have to endure. You have to start again, take elements from the chair and adapt them into the bench to create a design that pleases not only the individuals on the bench, but also the gestalt; you have to consider the interactions to be had between these individuals as a result of this multi-user bench, how you want them to engage and socialise. 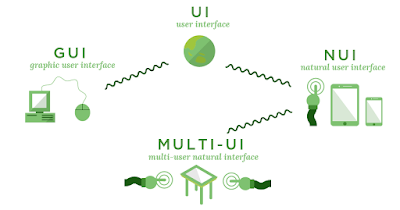 Following on from my blog last week on The Challenge of IoT UX: The Future of Digital Design, where I lament over the absence of quality of multi-user design discussion on the interwebs, this week I will be covering what makes good Multi-User Interface (Multi-UI) design. 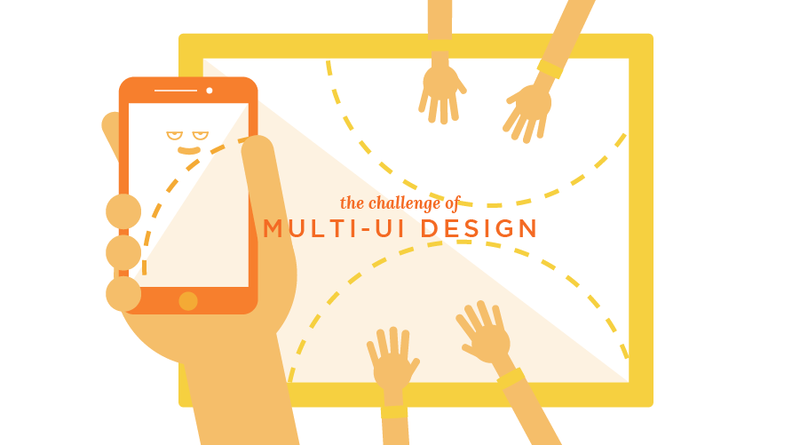 As a digital designer for digital tables, my job is pivoted on the challenge of designing for multiple people. It might seem intuitive to take the UI design on your mobile and bang it onto a tabletop’s surface, but like the chair/bench analogy on steroids, that is just not possible. The thought of it makes me a little sick. The whole experience would be so individual-centric and isolate all but one person standing around the table, obliterating any hope of collaboration and discussion. As most of us have developed anxiety around leaving the house without our phone, it is safe to say it is the phone’s interface we are most acquainted with today, and I will use it as a comparator with the multi-user table. I have divided the key differences between Good Multi-UI Design VS Good Solo-UI Design into four categories: (1) User Count, (2) Location Factors, (3) Accessibility and (4) Screen Size & Ergonomics. The most obvious difference between the two devices: the physical number of people using an app. Phone’s single user screens require single user apps (duh). As we are social animals, we like to share things. Phone apps are very social media heavy and rely on messaging to communicate with friends. We are familiar with this in all our apps; the share functionality down the bottom of our News Apps, favourite websites, in fact all websites. On the flip side, table app design should encourage in-person socialising to deliver a rich social experience, leveraging the multi-user aspect of the table. This could be through having an open drawing canvas with infinitely spawnable menus to accommodate however many users are surrounding a table. The hardware itself is a hugely significant driver for design. One device is meant to go everywhere, the other is rooted in one specific space. Geo-location allows apps like RunKeeper or Snapchat to offer very specific detailed data customised features for its users. The Age of Context by Scoble & Israel outlines how our personal devices are increasingly able to anticipate our every move as they learn about us. Likewise, a table that is situated in a shopping centre can offer very specific navigation tools, or offer deals for nearby stores, especially as devices become more aware of one another. The privacy of a mobile versus the privacy offered by a public table is very different. This is especially important to understand because apps which are on your phone might not translate as an app onto the table. You would certainly not want to be banking on a digital table. Similarly, entertainment apps function differently on a shared device. Watching a YouTube video on your phone takes advantage of the single-user nature of the mobile, while a multi-user game will bring people together to create a social form of entertainment on the table. Phone apps are specifically designed to deal with private micro-tasks, whereas table apps strengths lie in bringing people together to begin discussions. Because of the open accessibility of the table with a chance for a high number of amateur users, apps must be easy to learn (“intuitive”) and immediately understood. The most exciting of the difference between these two devices, in my opinion, is the opportunity presented to the UX/UI designer by the sheer size of the screens. Design is the creative exploitation of constraint, and that constraint is especially constrained in the tiny little mobile screen. For the mobile, apps must designed to be used single handed (factoring in portrait or landscape mode) with thumb accessible buttons and simple and manageable navigation tools. A table, on the other hand, has an expansive screen for many hands and endless possibilities. The constraints are somewhat considerably relieved. The complexity of gestures able to be recognised is enormous - imagine whole hand swipes, five finger pinches, TWENTY FINGER APP MITOSIS. Because of the expansive, horizontal nature of the table, however, apps must also have 360 multi-user usability, with the ability to be rotated, scaled and moved as the user desires. Believe it or not, apps being too far away are often a problem in tabletop UI design. Ways to get around this could include a tap-and-hold feature to bring apps closer to you, or a fist pound in the corner to slant the UI and make the app ‘roll’ toward you. Redesigning the chair into the bench is the challenge that I try to tackle everyday, but Multi-UI Design is just one challenge presented by the IoT. 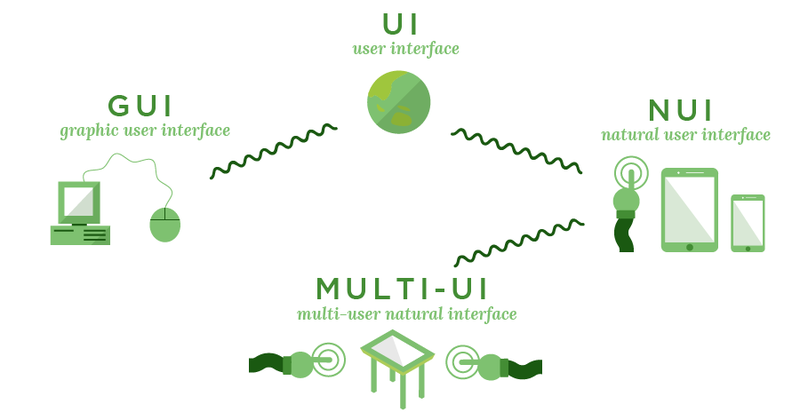 The above is just a guide as to what our research at nsquared has revealed, and my goal here is to inspire more discussion around how to make Multi-UI great. If you want, please check out our website or visit one of our social media channels to keep in touch.